Summary: Microsoft Scripting Guy, Ed Wilson, talks about using Windows PowerShell and DSC to check a pending reboot. Microsoft Scripting Guy, Ed Wilson, is here. The Scripting Wife and I started the week by heading to the Microsoft office to get our flu shots. Luckily, the flu shot did not require a reboot—but that actually got me thinking. I believe at the heart of it, he checks four different things. Brian's script is cool—but dude, it is a lot of lines of code. I prefer Windows PowerShell and DSC. 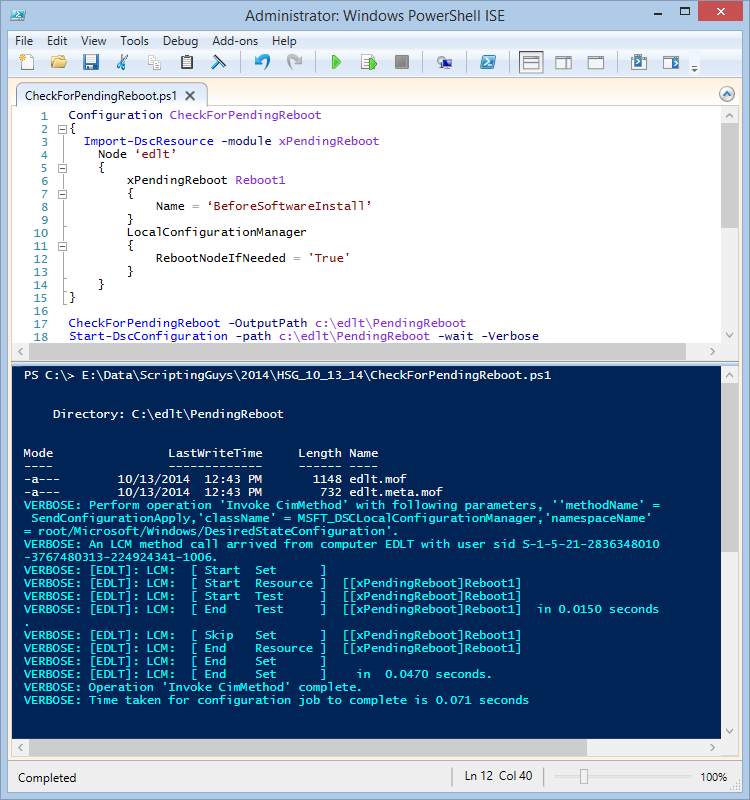 One of the new DSC resources from the DSC Resource Kit is the xPendingReboot resource. It permits me to check if a reboot is required, and if it is, to perform that reboot. There are a few prerequisites. There is a Windows update for Windows 8.1 and Windows Server 2012 R2 that is required for the Import-DSCResource command to work. To download this update, see article 2883200 in the Microsoft Knowledge Base. This update comes via Windows Update automatically, so if your machine is up-to-date on updates, it is already there. If not, ensure that you have the update. 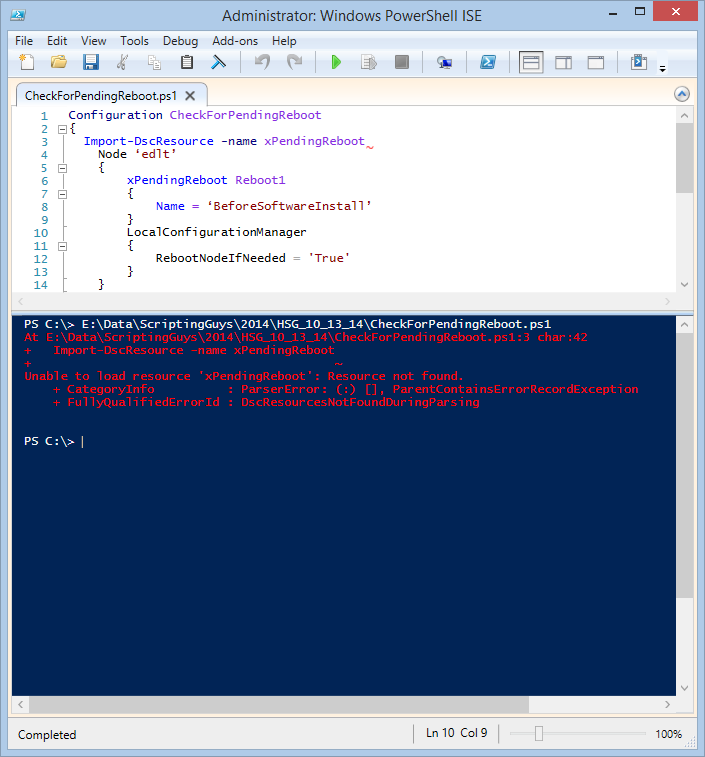 That is all there is to using Windows PowerShell to check a pending reboot. DSC Resource Kit Week will continue tomorrow when I will talk about more cool stuff.